By combining culture and history with nature and the great outdoors, this exciting and varied tour gives a unique overview of Rajasthan, the most magical of Indian destinations. Our specially designed program features a great mix of hiking, sightseeing and relaxation, allowing you to experience the best that this exotic corner of India has to offer. Everything about Rajasthan fascinates the visitor. From the shimmering sands of the Thar Desert in the west, across the Aravalli hills to the great cities of the eastern plains, this historic Indian heartland captivates with echoes of a glorious past. You’ll encounter a dazzling palette of colours, visit glittering palaces and imposing forts, together with a famously hospitable culture. We start the tour with a visit to the prominent City of Uttar Pradesh - Agra, followed by a thrilling encounter with wild tigers at Ranthambore National Park. We’ll explore Rajasthan’s rich heritage in Jaipur, the so-called Pink City, and at Pushkar – a pilgrimage site famous for its Brahma temple and holy lake – one of India’s most beautiful locations. 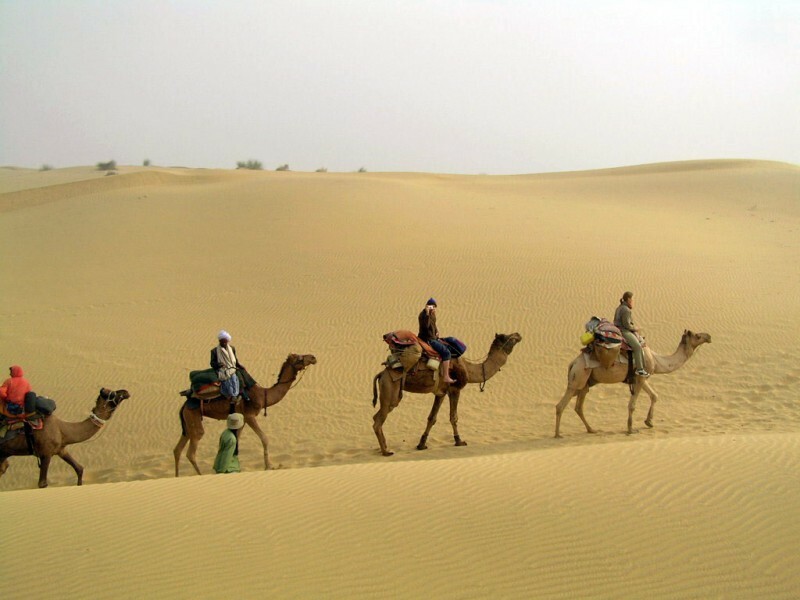 For a completely different experience, we’ll journey into the Thar Desert on a full-day camel safari and spend a cool tranquil night under the stars in a desert camp. Later in the trip, a gentle three-day trek through the rolling Aravalli hills – marked by beautiful meadows, wild forests, plunging waterfalls and an array of birdlife – brings another aspect of Rajasthan into focus. Along the way we will also visit Kumbalgarh Fort and the magnificent Jain temple of Ranakpur. The final leg of our tour journeys south to romantic Udaipur, with its majestic palace and glittering temples ranged around a serene lake. Arrive at Indira Gandhi International Airport, Delhi. Our KVT’s representative will meet you and welcome you at the airport, later board the vehicle and drive towards Agra (Distance: 240km | 4-5hrs drive), upon arrival transfer to the hotel for check-in. By late afternoon we visit Red Fort of Akbar, whose mighty sandstone walls enclose the beautiful white marble Pearl Mosque and the palaces, halls, courtyards and fountains of his sons and successors, Jahangir and Shah In the evening, we have some free time to explore the local Bazaar of Agra or we can relax at the hotel. This day we have two game drives in Ranthambhore National Park. The first game drive will be in the morning and second in the afternoon. 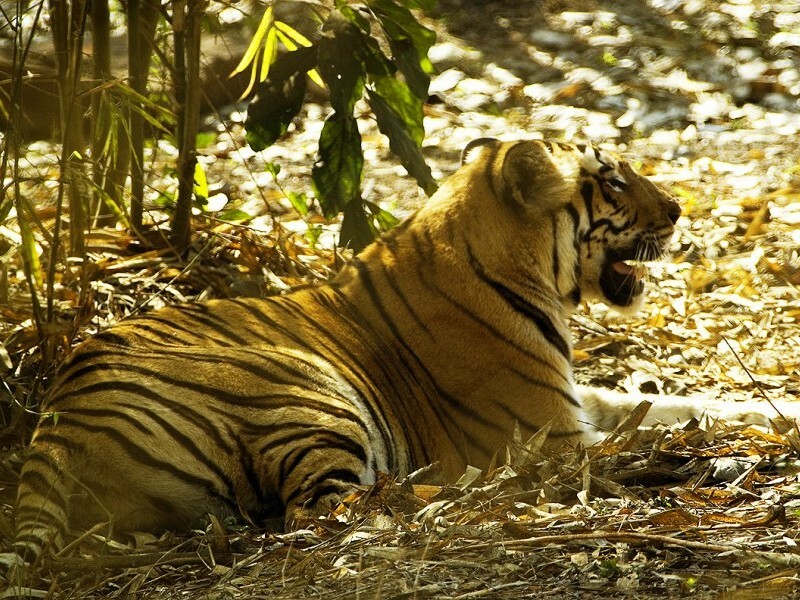 It is one of India’s tiger reserves under Project Tiger. There is other wildlife, such as several species of monkey, deer, crocodiles, birdlife, and together with the scenery, make the visit worth. There are two choices of vehicle for going on the safari, an all-wheel drive jeep called a "Gypsy" (which seat up to 6 visitors) or 16 or 20 seater safari bus called a "Canter – a large open truck" on sharing basis. Later after the game drives relax at the hotel. Today we leave Ranthambore and drive towards Jaipur (Distance: 180km | 4-5hrs drive). Jaipur is the capital of Indian state Rajasthan and Jaipur is also called the pink city. Later in the afternoon we reach Jaipur and check-in to the hotel. Rest of the day is free time to explore the surrounding area or relax at the hotel. This morning after breakfast we start our full day sightseeing of the Jaipur city. 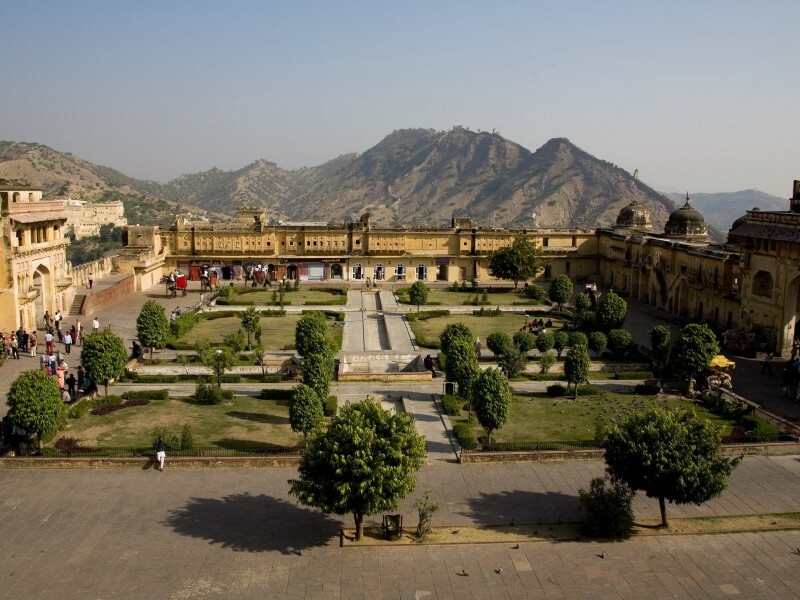 In the centre of Jaipur is the City Palace, formerly the residence of the Maharaja it is now a fine museum containing rare manuscripts, paintings, royal garments and weapons. We will visit to the stunning medieval Amber Fort. Our city guide also takes us to the Old Bazaar and the Hawa Mahal, better known as the Palace of the Winds. 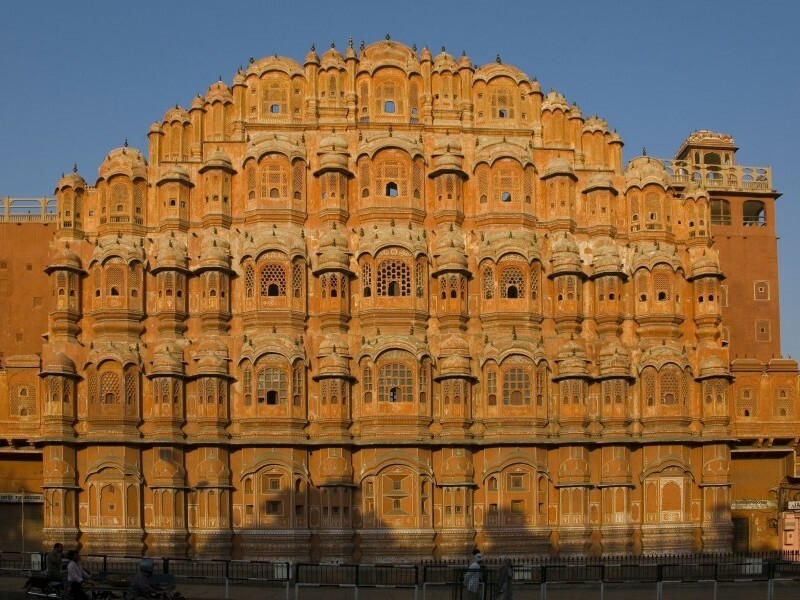 This five-storey façade with pink colour was built in 1799; the Hawa Mahal was part of the City Palace. Its original intention was to allow royal ladies to observe everyday life in the street below without being seen. After having such a beautiful city tour we will return back to hotel. Morning after breakfast we drive to Bikaner (Distance: 340km approx. | 8-9hrs drive). After such a beautiful long drive we reach Bikaner in the evening and will check-in to the hotel. This day we do the sightseeing tour of Bikaner; visiting Junagarh Fort, it is an impressive fort built by a Rajput ruler Raja Rai Singh in 1589-1594, the fort has never been conquered though it has been attacked many times. Junagarh Fort is an impressive monument, with huge towers and battlements for defense. It contains 37 palaces and many temples and pavilions. Many of the inner rooms of the palaces are beautifully decorated and painted in traditional style. Then we visit Bhandasar Jain Temple which is dedicated to the fifth Tirthankara, Sumatinath, is considered to be the most beautiful and also the highest. After that we drive towards Desert camp en-route visiting Karni Mata Temple also known as Temple of Rats at Deshnoke, Later arrive at Desert Camp and relax at the camps. This day we do camel safari for full day as riding on a camel is one of the best ways of appreciating the desert scenery and the surprising amount of desert dwellers and greenery you come across along the way. Flocks of sheep and goats, herded by young boys, are a common sight; the tinkling bells around their necks breaking the desert silence. 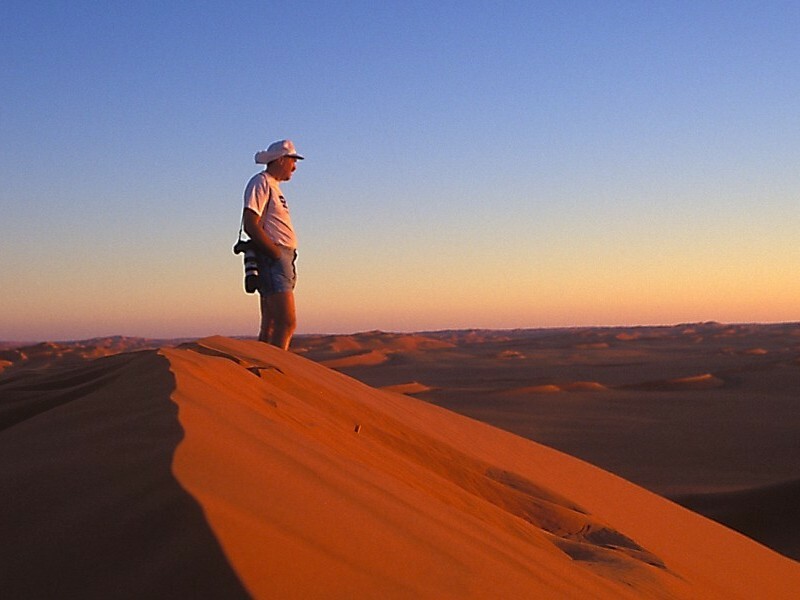 We may prefer to walk at times leaving the camels to their riders and getting the chance to examine the desert flora and fauna at first hand. Our safari is a real chance to relax and we make many stops to experience the traditional desert life style of the tribesmen. This morning after breakfast we drive to Pushkar (Distance: 260Km approx. 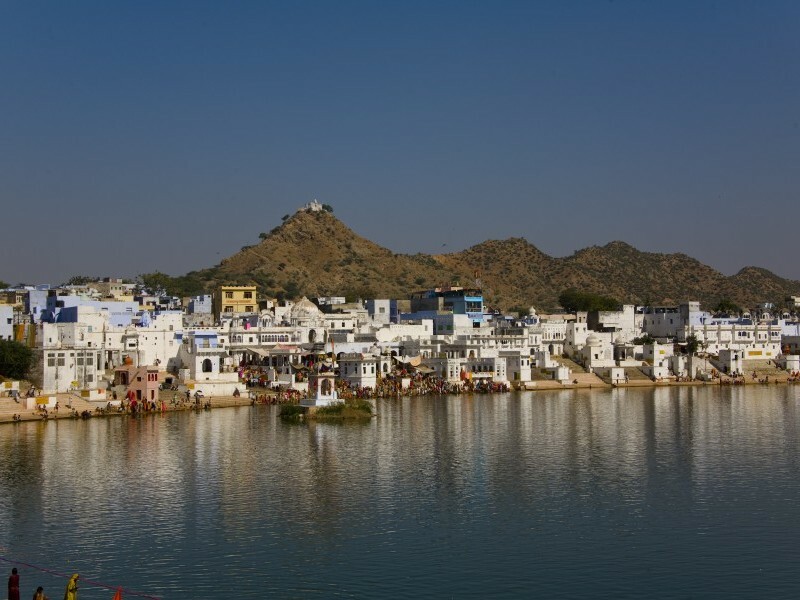 | 5-6hrs drive) the holy town of Pushkar is surrounded by hills on three sides and has nearly 400 temples. In the afternoon, we explore this holy town visiting the holy lake, bathing Ghats and Brahma Temple (one of very few temples in the world dedicated to Lord Brahma). The evening is free to wander around and soak up the unique atmosphere of this religious town. Today after breakfast we can go for a hike in the nearby hills and explore the surrounding area of Pushkar. Evening is free to relax or wander around the market area. After breakfast in the morning we start our onward journey to Kelwara, at the foothills of Aravalli range of mountains, which is the starting point of our trek. 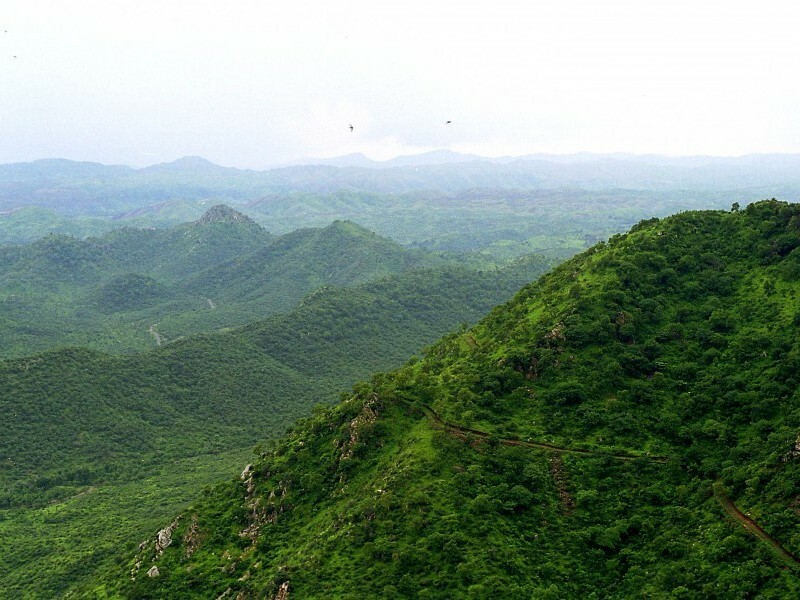 Aravalli Hills offer some ideal trekking opportunities with dense forests, valleys and rivulets meandering through the countryside. Trek from Muchala Mahaveer to Kumbhalgarh and visit Kumbhalgarh Fort located on a hill and is the second most important fort of Rajasthan after Chittorgarh fort. The fort is also a World Heritage Site and it was built in 15th century by the ruler of Mewar Maharana Kumbha. After the visit we trek towards our campsite where we camp for the night. (4-5 hrs. treks). On the last day of the trek we will take a short transfer by jeep to a village called Phota Dewal to start the final part of the trek up to Ranakpur where the trek ends. We visit the stunning 15th Century Jain Temple at Ranakpur. The main temple, beautifully carved from marble, is dedicated to Adinath. It has 29 halls supported by 1444 pillars, each delicately carved with a different design. In the late afternoon we drive to Udaipur (Distance: 120km | 2-3hrs drive). Udaipur is known as ‘The Pearl of Rajasthan', the ‘City of Sunrise' and ‘Venice of the East', Udaipur is a beautiful place regarded by both Indians and travellers as the most romantic city in India. 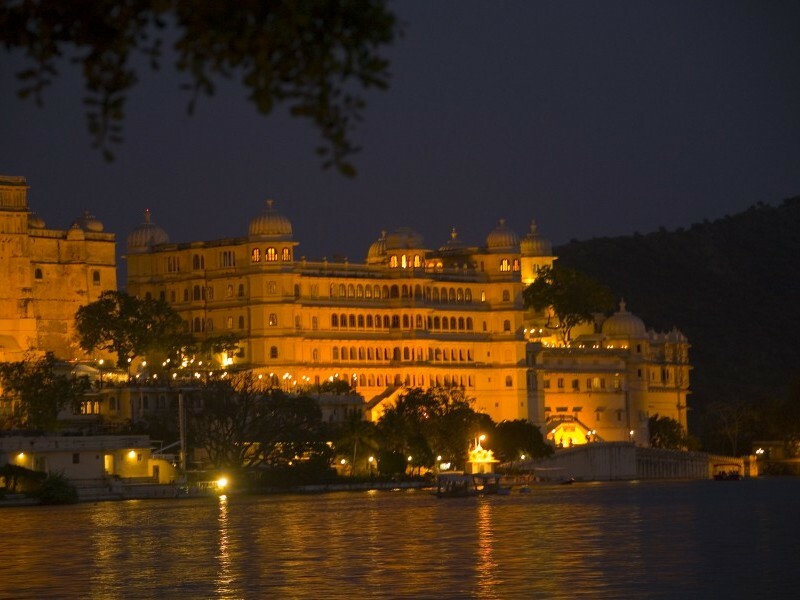 Situated on the east side of Lake Pichola, the main palace commands an unsurpassed view across the Shimmering Lake to the dusty Aravalli Hills with the luxurious Lake Palace hotel adding to the scene. Lake Pichola has two islands, each with a palace to rival that on the mainland; Jag Mandir and Jag Nivas (the latter is now the Lake Palace Hotel) rise out of their own reflections in the waters of the lake. 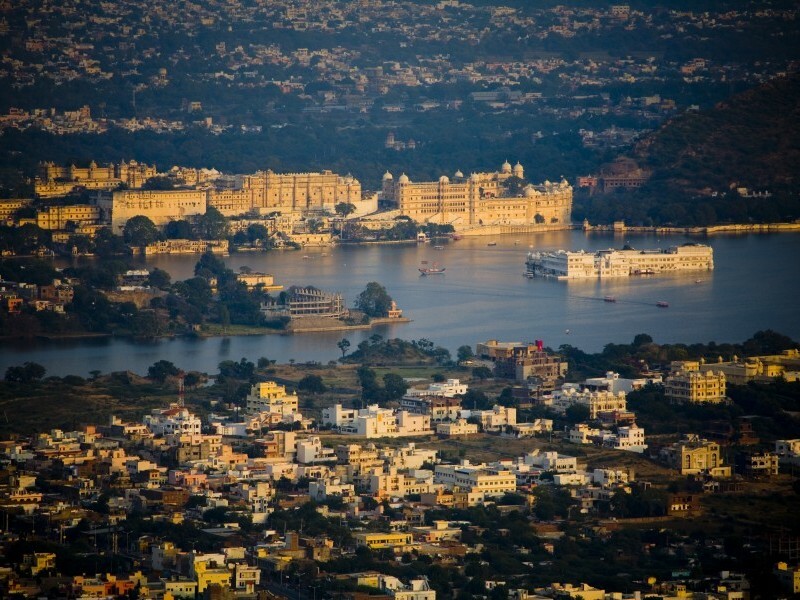 Udaipur is surrounded by a massive bastion with five gates and dominating the town is the City Palace. The sumptuous apartments are decorated with multi-coloured mosaics, elaborate mirror work and inlaid tiles; half of these can be visited as the current Maharaja still occupies the rest of the palace. We spend the morning visiting the City Palace and Jagdish Temple, with a huge black stone image of Jagannath, an aspect of Lord Vishnu. In the afternoon, we visit Sahelion Ki Bari (Garden of Maids of Honour) is an ornamental garden built by Maharana Sangram Singh for his daughter and the Ladies of the Queen's court. Late afternoon an optional boat ride on Pichola Lake can be arranged. This morning after breakfast we will be transferred to the airport to board the flight to Delhi. Upon arrival in Delhi meet our KVT’s representative and transfer to the hotel for check-in. Rest of the day is free to relax at the hotel. Morning you will be transferred to the Indira Gandhi International airport, Delhi to board the flight for back home.